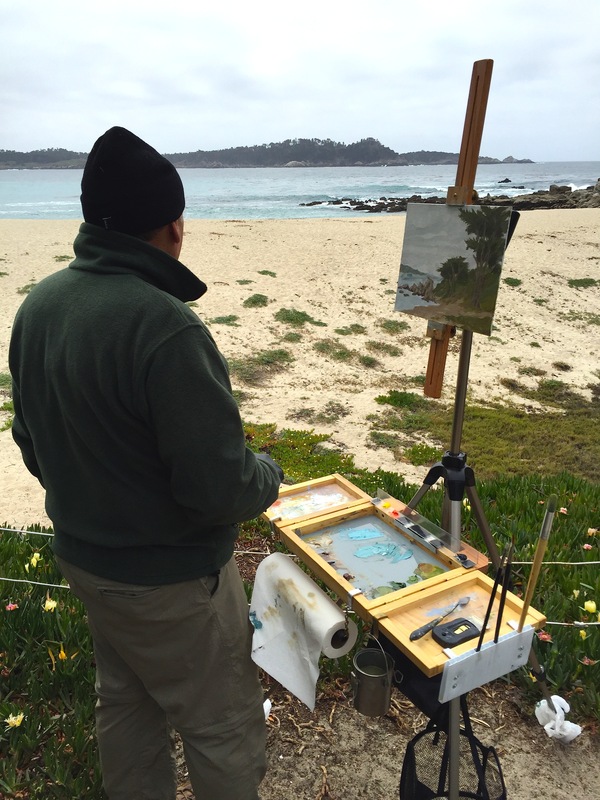 Discovered on this overcast day above Carmel River State Beach, a Plein Air Artist named Tim. 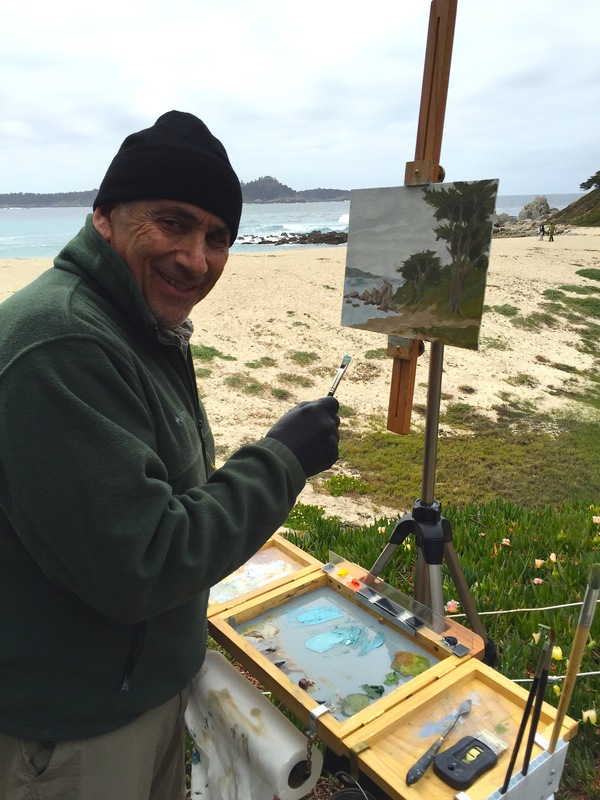 His easel was set up at McGinnis Bench, which overlooks the surf, a special place where I sometimes bring a bottle of wine and sit with my dogs. It’s moments like these that confirm why I live at the beach.